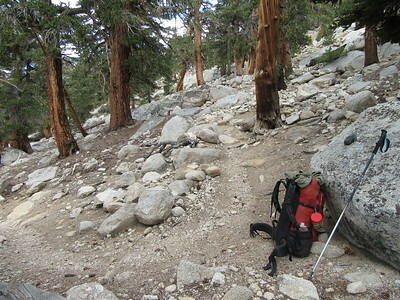 ... taking a break in the steeper section of trail. 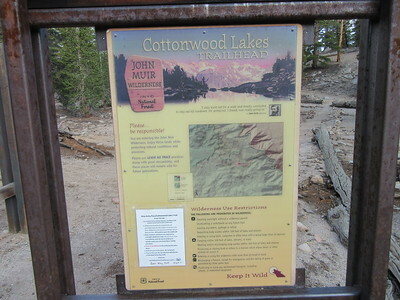 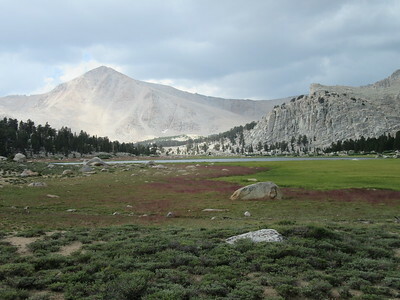 ... cresting into the Cottonwood Lakes Basin (11,000') where I took this sweeping video. 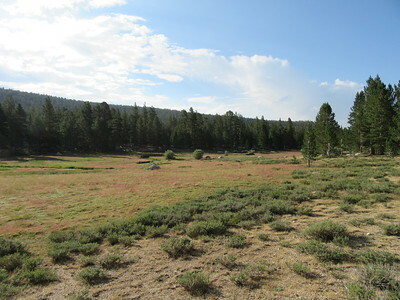 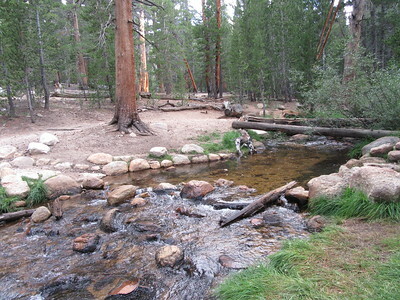 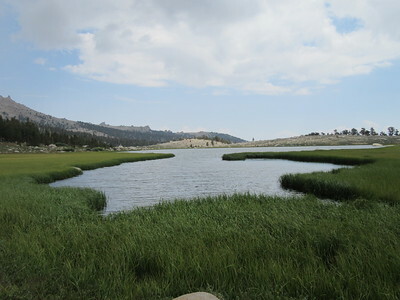 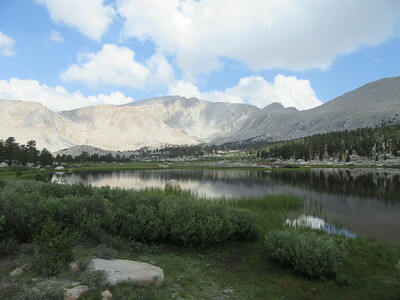 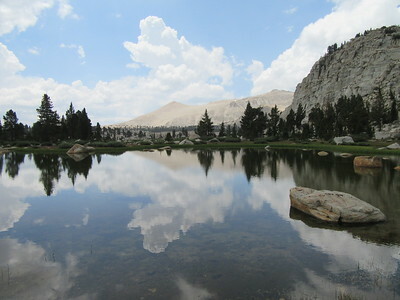 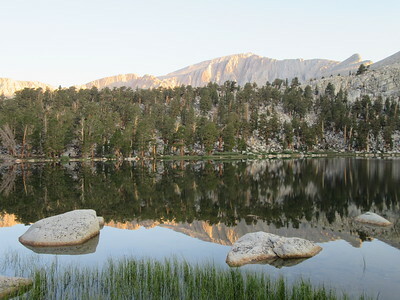 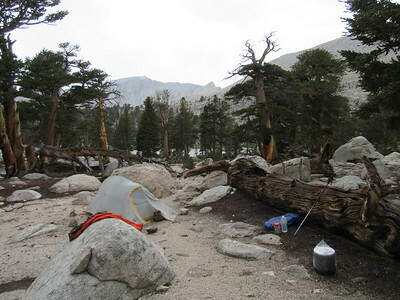 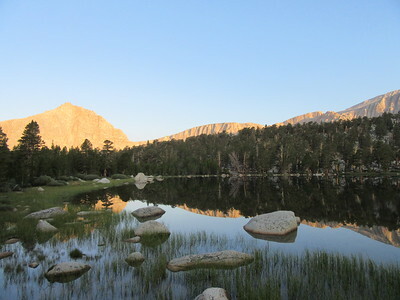 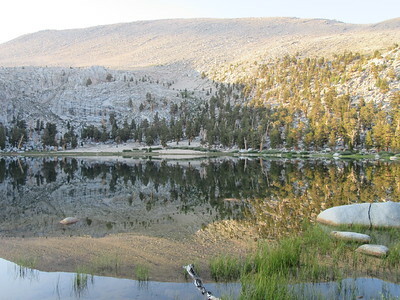 ... Muir Lake (11,130') where a three hour thunderstorm soon moved in and I camped for two nights. 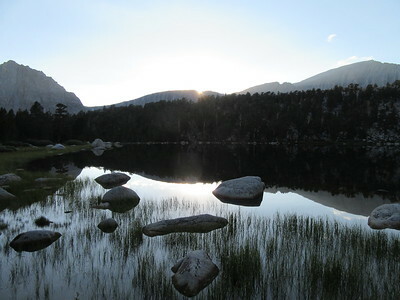 ... even as the sun set behind the mountains to the west. 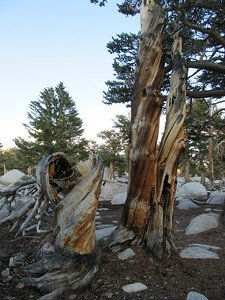 Back near my campsite was a display of the naturally old, twisted and busted (which seemed to make it a fitting place to camp). 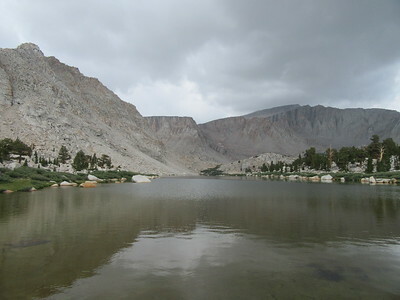 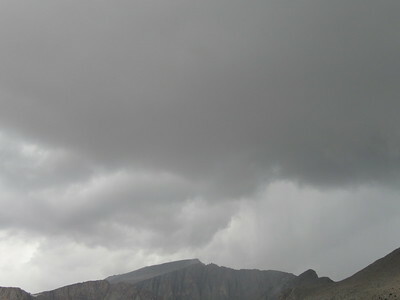 ... hiking from the top (north end) to the bottom (south end) of Cottonwood Lake #3 (11,075') where I took this shot looking back up the lake as dark storm clouds increased over Mt. 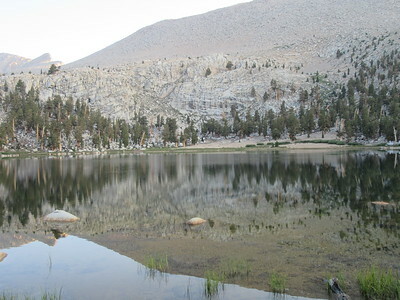 Langley. 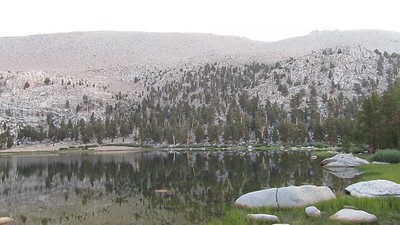 Looking south over the pond between Lake #3 and Lake #2, the sun was still shining. 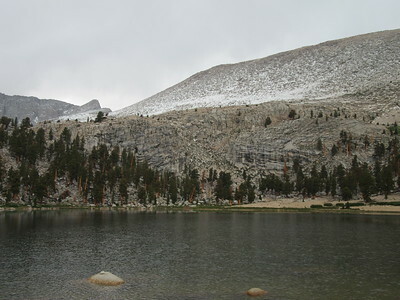 ... getting out during a break to see the fresh August 1st snow above Muir Lake and the rest of the basin. 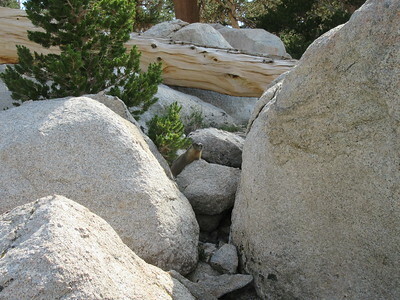 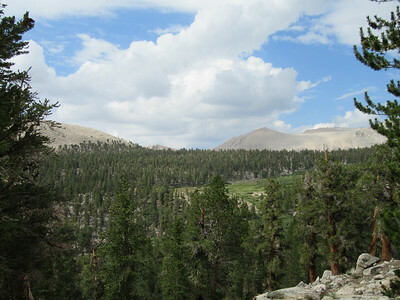 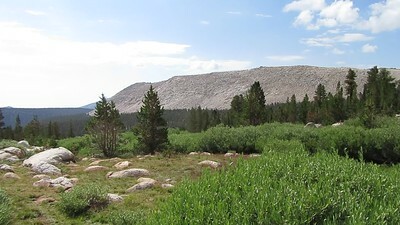 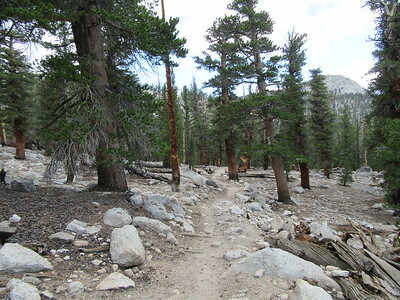 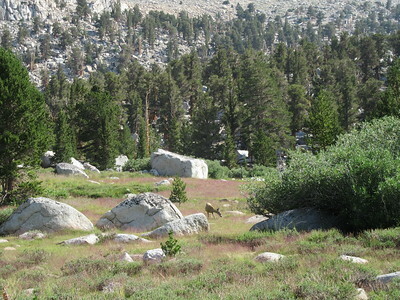 (I found out later from the Inyo County Sheriffs' Facebook page that landslides had closed Horseshoe Meadow Road to the trailhead for several hours.) 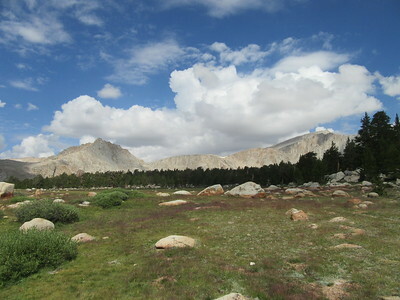 The sky soon cleared, the sun reappeared and I hiked out to the trailhead the next morning.